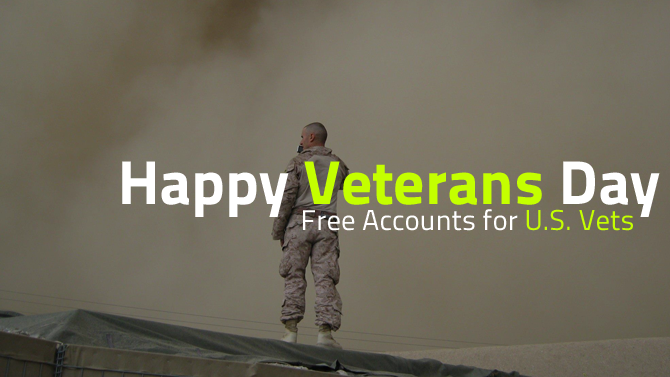 One year FREE hosting for any current or former Military members – 11/11 to 11/16! Eleven2 is proud to support our current and former Military members. Starting on Veterans Day 11/11/2015 until 11/16/2015 we will be giving away 1 year FREE hosting on the S-200 package or the SSD-200 package. To take advantage of this offer please email hello@eleven2.com and attach a copy of your military ID. Once we verify your information we will then provide you a coupon code for 1 year free hosting! If you’re not a Military member you still can get 50% off shared hosting, ssd hosting, reseller hosting or managed VPS hosting.